Sandwiches are great, whether they involve delicious fillings piled between two pieces of bread or you grinding between two attractive females on a dance floor. 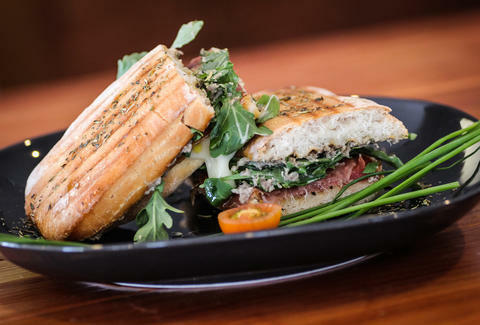 But since your pursuit of the latter often ends in embarrassment, here are five bread-based San Diego sandwiches that will never let you down. Or slap you. Check them out below, and if you're still hungry, peruse this list of the 50 greatest sandwiches of all time. There’s no need to wait until November for all that turkey and stuffing goodness. 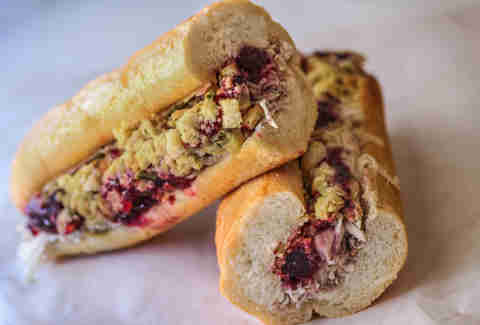 This place has you covered with the Bobbie, which is basically Thanksgiving on a bun, made with homemade pulled turkey, cranberry sauce, stuffing, mayo, and a couple of secret ingredients that will keep you thankful all year long. Fried Chicken on a Biscuit, Tiger!Tiger! Only available for Sunday brunch, this Southern-style sandwich comes with buttermilk fried chicken, house-made sweet pickles, chili aioli, and butter lettuce on a fresh-made cream cheese & green onion biscuit. Make sure to have them top it off with sausage gravy. Hopefully you don't have to move again until Monday. 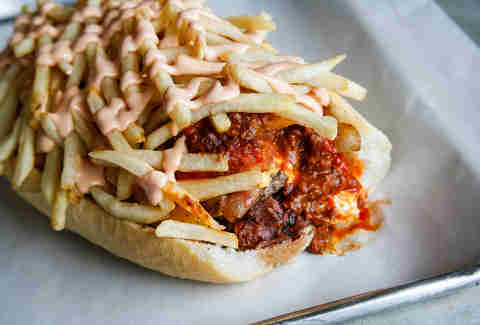 This 27in mountain of cheesesteak, cheeseburgers, pastrami, chicken fingers, bacon, mozzarella sticks, fried eggs, jalepeno poppers, fries, onion rings, chili, marinara, and fat sauce is the mother of all sandwiches. Finishing this 9lb monstrosity in 40mins or less will not only take a couple years off your life, but it’ll also earn you the $50 sando for free, and the right to name your own creation for their menu. 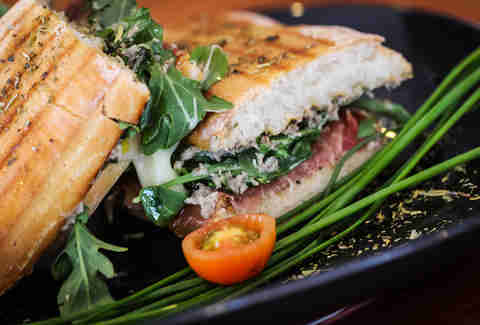 Aside from the assortment of beautiful Italian desserts, the paninis at this place are a can’t-miss, especially the Da Vinci made with speck, cream of mushrooms, Taleggio cheese, tomato, and arugula and grilled to perfection on fresh-made bread delivered regularly from Pappalecco in Little Italy. 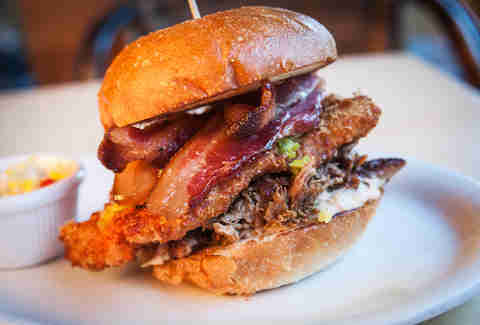 Because one kind of pork on a sandwich just isn’t enough, the Snack Shack has created a pork lover’s dream with a chicken-fried pork cutlet, slow-roasted pulled pork, and applewood-smoked bacon with aioli and homemade pepperoncini & pickle relish on a Kaiser roll.